Class B (good) stereo components are directly below Class A (excellent) and above Class C (average) components. Class A is reserved for the very best discreet components, whether they be pre-amplifiers, power amplifiers, tuners, CD players, turntables, or loudspeakers. All integrated amplifiers and tuner/pre-amplifiers are Class B or lower, as are the majority of separate pre amplifiers and power amplifiers. Some electronics manufacturers of mainstream (Class C) components offer an upscale line of Class B pre-amplifiers, power amplifiers, integrated amplifiers, tuners and CD players as their top of the line components, intended to appeal to the consumer who cannot afford or does not require Class A components. The very best receivers, such as the classic Marantz Model 19, might qualify for Class B, but the great majority of receivers would fall into Class C or lower. Often a Class A manufacturer will offer a Class B line to appeal to potential customers who do not have the money, space or inclination to own Class A components. For example, McIntosh offers very high quality integrated amplifiers (Class B) in addition to their excellent (Class A) pre-amplifiers and power amplifiers. Among the Marantz Reference Series components, we find the 15 series, which are Class B components. Other Class A manufacturers do much the same thing, offering very good (Class B) pre and power amps, tuners, CD players, integrated amplifiers and other electronics at a lower price than their top of the line Class A separates. Marantz PM-15S2 integrated amplifier. Illustration courtesy of D&M Holdings, Inc. These Class B electronics, which in some cases may not be built to quite the "bullet proof" standards of Class A components or represent the latest cutting edge technology, are still fine performers and very good at reproducing music. Sonically, there is often little, if any, audible difference between Class A and Class B amplifiers and program sources. All Class A loudspeakers are floor standing systems and most Class B speakers are also floor standing. A large "bookshelf" or stand-mounted system, such as the classic JBL L-100 or AR-3a, might make Class B, but most bookshelf speakers will fall into Class C or lower. Most loudspeaker manufacturers offer multiple lines, priced to appeal to different market segments. Klipsch, for example, has their top Palladium series, classic Heritage and upscale Reference lines, in addition to the more moderately priced Icon (X, W and V series) and Synergy lines. All of these speaker lines except Heritage include floor standing and bookshelf models (albeit of different quality), but only the top of the Palladium and Heritage lines, the P-39F and Klipshorn, are Class A loudspeakers. The top of the Reference Series (RF-7 II and RF-5), the rest of the Heritage series and the other floor standing Palladiums are Class B. Incidentally, all of these Class A and B Klipsch loudspeakers are built in Hope, Arkansas, USA. All of the smaller Klipsch floor standing, bookshelf and stand speakers, even the excellent quality Palladium P-17B bookshelf model, are restricted to Class C, since they lack the bass response required of true full-range loudspeakers. In addition, smaller speakers cannot move enough air to approach live music listening levels. Class B speaker systems are usually two or three-way systems built around a 12" woofer or the equivalent that provides at least 100 sq. in. of woofer surface area and a sophisticated horn, dome or ribbon tweeter. Class B floor standing systems are usually, although not always, of the tower type, with a smaller footprint than the often very large Class A floor standing loudspeakers. Still, Class B speakers provide accurate, wide range sound reproduction with good bass extension and may be more appropriate to smaller listening rooms than Class A loudspeakers. I downgraded from Altec-Lansing A7-500's (Class A) to Klipsch RF-7 II's (Class B) for that very reason. Class B turntables, such as the Marantz TT-15S1 and Rega P7, offer very good performance and build quality, although not at the level of the cost no object Class A turntables. As Rega points out, the ceramic platter of their (Class A) P9 costs more than an entire P7 turntable. Despite this, Class B turntables are precision, audiophile quality instruments. Any difference between the specification and sound of Class A and Class B turntables is apt to be minor or completely inaudible. Marantz TT-15S1 turntable. Illustration courtesy of D&M Holdings, Inc.
Because Class B components deliver near Class A performance, typically at a considerably lower price, they are often excellent values. Class B electronics and program sources can usually be mixed with Class A components without appreciably degrading the overall sound quality of the system and Class B loudspeakers can elevate the sound of what is basically a Class C system. (Assuming the Class C amplifier has adequate power to drive them.) 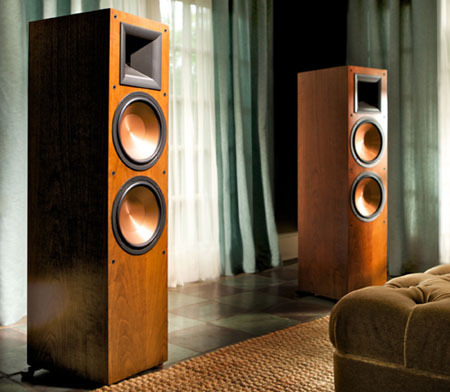 Many audiophile personal reference systems are a mix of Class A and Class B components.